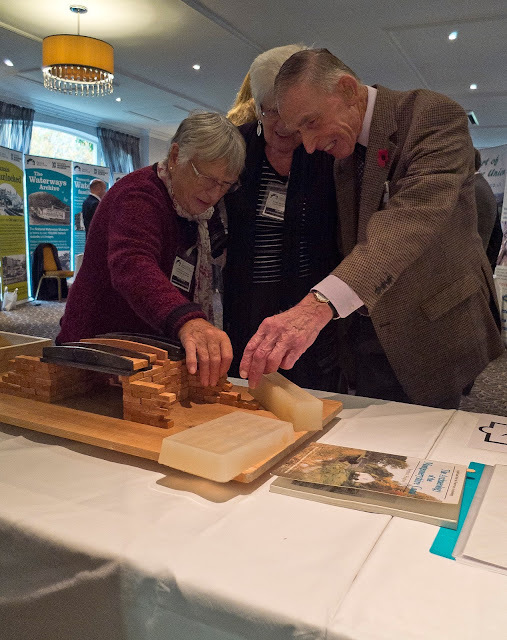 Just over a month ago, on Friday 6th November, I was invited to hold a stall at the Canal & River Trust Annual Showcase in Shropshire. There were many other organisations and individuals attending, from wildlife, boating and angling organisations to charities working with young people and the resident Blacksmith at Ellesmere canal yard. I displayed the newest additions to the Monty Canal modelling kit: some fish-bellied 'cast-iron' beams, and the moulds used to make them. 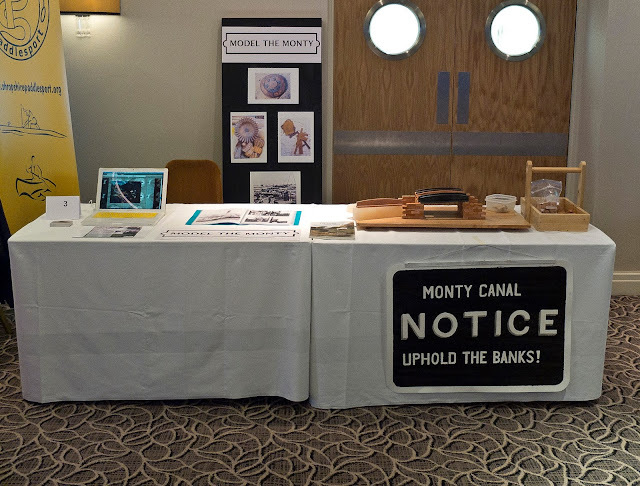 The CRT education specialists and workshop leaders had a stall too, and it was good to talk to them about some of their canal-connected activities including a modelling kit they use with younger children in sandboxes. 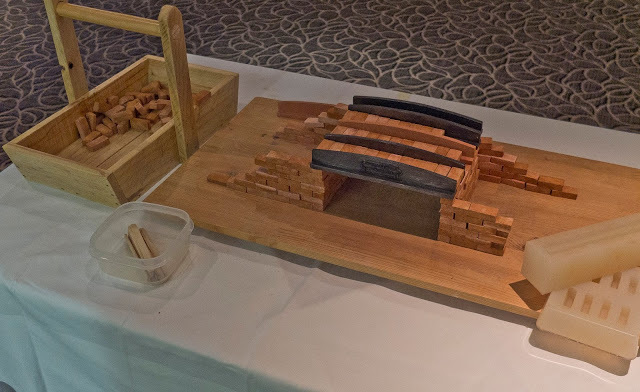 I also presented information about the other strands to the residency, such as the Newtown Field Trip, the textile collaboration and this blog. 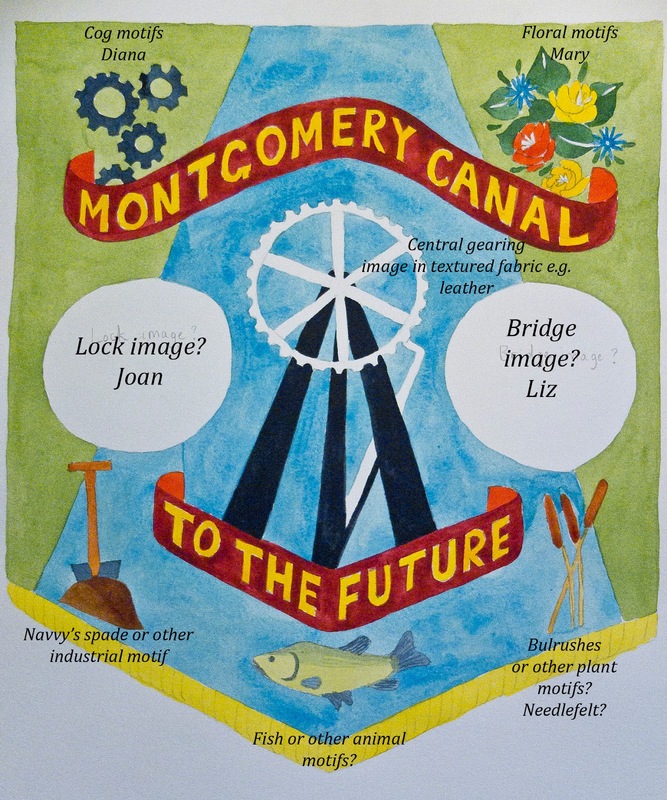 In the afternoon there was an opportunity to take part in planning sessions and I joined the Montgomery Canal group. 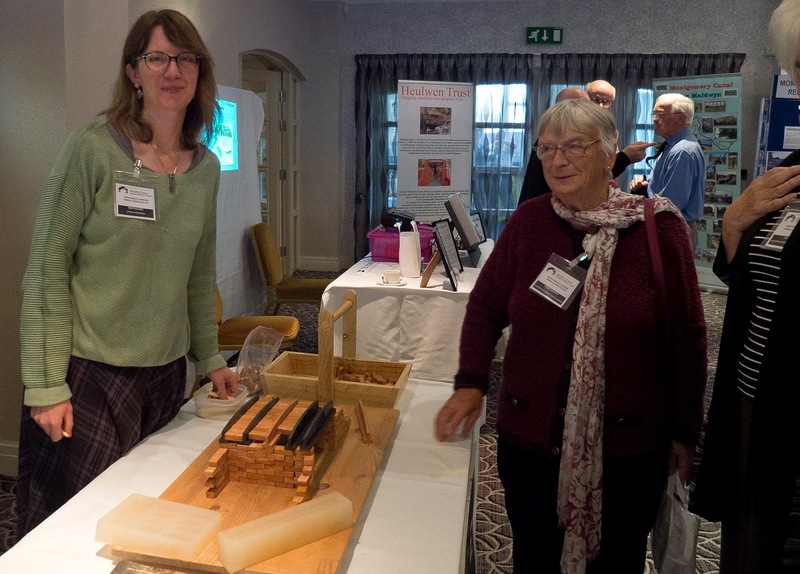 It was a good chance to put forward ideas that have emerged from my research and time spent on the canal but have not directly become part of the project. It was also a good forum to talk about the contact I've had with different communities along the canal, as well as my own points of view on the future of the canal as a native of Mid Wales. After a few trials and mock ups we are starting to plan how everyone's ideas can work together in the final banner. See below for a watercolour outline of the layout I did to help visualise what will go where. Some of the visual influences we are incorporating in to the design are Trade Union banners, retro-futurist art, geometric pattern and traditional canal boat painting, as well as the engineering, flora and fauna of the Montgomery Canal itself. In terms of textile techniques, collectively we are likely to use applique, maybe even reverse applique, paper-piecing and needle-felting, to name but a few. I look forward to our next meet-up in January when we will start to construct the background and central elements of the banner.